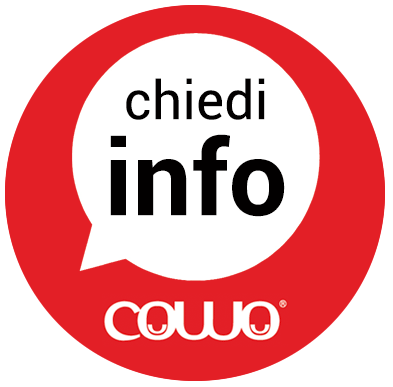 Welcome on the page regarding Prices and Services of the Coworking Milano Lambrate Space, located in Via Ventura 3 Milano – Lambrate, in the premises of Monkey Business/advertising in the jungle. 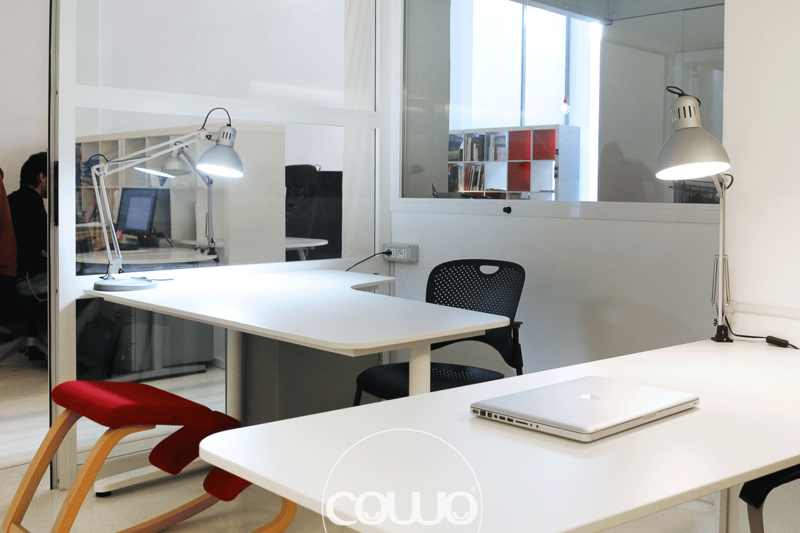 This Coworking Space is the first ever openened in Milano, and is active since April 1st, 2008. It’s also the headquarter of the Rete Cowo® – Coworking Network organization, where the founders of the network, Laura Coppola e Massimo Carraro, have their base. The local coworking community has been active since 2008. The prices are subject to VAT 22%. Price of “LIGHT” workstation with exclusive and reserved use. (monthly cost on a semester base Euros 9o.00 + vat). Service elegible for the City of Milano coworking vouchers. 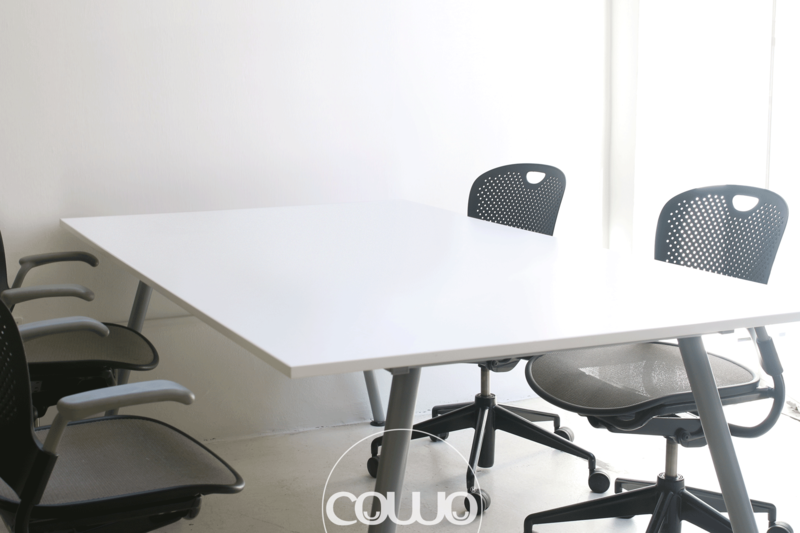 The “LIGHT” desks allow to use the coworking space with the best possible cost/benefit relationship, without any compromise on the service. Workstations are of comfortable dimensions, adequate for everyday use, even for many hours; the seating is a high-quality, ergonomic one, the lighting just right. A personal drawer with key is part of the equipment of every workstation, and can store documents, personal objects and laptops. You are welcome to leave your personal belongings at the workstation. Price of “RESIDENT” workstation with exclusive and reserved use. (monthly cost on a semester base Euros 150.00 + vat). The RESIDENT workstation is composed of a large desk, perfectly fit for the use with large monitor(s), scanners, printers. Workstations size is such that you will be able to keep on the desk computer, smartphone, tablet, books and documents without having to give up anything. Storage space is also available on bookshelves and trolleys, besides the personale drawer with key. (monthly cost on a semester base Euros 166,66 + vat). PRO is a fully equipped workstation, with L-shaped working surface of greater dimensions, particularly functional for all the coworkers who enjoy a wider working area. Furthermore, the “PRO” workstation has the additional advantage of being inside an indpendent office, separated from the open space area by means of a glass wall. The office hosts two “PRO” workstations. (monthly cost on a semester base Euros 266,66 + vat). Large meeting-size table, able to host two coworker working facing each other, and still leaving plenty of working space for both of them. The price of the “SHARED TABLE” workstation for two gives you excellent value for money, while offering the ideal arrangement for a team of two working together, or for the single professional in need of a wider working area + a second seating for visitors. Price INDIPENDENT OFFICE FOR 2 PEOPLE with exclusive and reserved use for 2 people. (monthly cost on a semester base Euros 400.00 + vat). Indipendent office, separated form the open space area by means of glass walls and door with key. Room size: cm 390 x 260. The office is equipped with two large L-shaped workstations, and can host guests and small meetings. Indipendent, remotely controlled air conditioning and heating. This office is the perfect solution for a team of two professionals working in the same team, within a room providing privacy and personal comfort. (monthly cost on a semester base Euros 450.00 + vat). Indipendent office of 14 sqm. on the coworking space upper level, separated from the open space area by means of a glass wall, with indipendent large window. The office can host comfortably a team of 3 people and provides pleny of storage room on the bookshelf. Two additional chairs and a Wassili armchair makes it ideal for meetings and brainstorming sessions. (monthly cost on a semester base Euros 500.00 + vat). Office of 17 sqm, closed by glass walls and fully equipped for a working team of 4 professionals. The room is equipped with 2 meeting-size table, able to seat a maximum of 8 people. The office provides enough room to hold meetings and working sessions for groups. Guests can join the working team and make themselves comfortable on the additional chairs or on the large sofa, able to seat 4. Air conditioning and heating can be operated indipendently, with remote control. But… What’s a coworking, co-working o co-work, really? Is is like a business center? Let Wikipedia tell you about it!